Since I’m teaching 1st grade this year, I’ve had to reacquaint myself with nursery rhymes and children’s songs. Trust me. It’s a matter of self-preservation. You wouldn’t believe how quickly you can channel the energy of a rambunctious class with the song “Five Little Monkeys”. Here’s a song I stumbled upon that pretty much had me smiling all day. So much so that I’ve broadcast it on every social media site I’m on except maybe Good Reads — though with this post here I’m probably doing that. Anyway, it’s a three day weekend on account of it being Buddha’s Birthday. There will likely be a parade in town, which should be pretty awesome on account of the floats. I just finished reading Russell Hoban’s Riddley Walker. That’s an amazing book. It’ll likely get the one book four covers treatment in the not so distant future. This is one of those books I read about on a blog somewhere discussing “forgotten classics” of SF. The premise sounded neat: a pair of heroes (more psychic EMTs than cops) roams the weird streets of a future New York City that’s fragmented into communes. 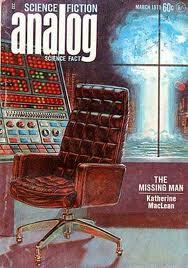 The novel began its life as a series of novellas in Analog before going the fix-up route, so it’s no wonder that the Analog cover with its Apocalypse Chair is the most apt, sort of. 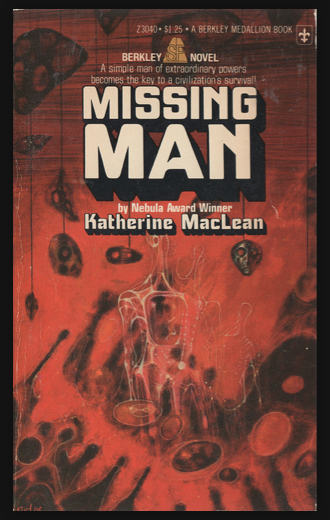 The second picture is the first paperback novel printing and it’s your standard 1970s SF moodscape, like for real man, without any indication of setting or character. All it needs is a sketchy disembodied head screaming and you could call it Operation: Mindcrime. The next with the black cover is the Prime Books Wildside Press edition that’s in print now and it’s the copy I read, and, well, that’s the dullest of the bunch. It’s a road sign. 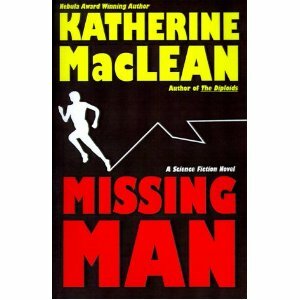 All of which is a shame because Missing Man is a fun book. It’s dated for sure, and a bit eyebrow-raising whenever the conflict centers on rescuing someone from a “crazy” ethnic or racial minority, but it’s also weirdly prescient in the way its fragmented NYC resembles the Internet: a world where people have segregated themselves from each other along the lines of their interests and via their computers so they never need to encounter someone who disagrees with them. Missing Man may be wrong in the particulars and technology of this fragmentation, but I suspect it’s right in depicting some of the results. Jin received her copies of the John Shirley book Rapture that she translated. She wrote a blog post about it. It’s in Korean, but there are pictures. It’s been interesting. Part of it makes me think how translation can be like one massive game of telephone. Another thing it makes me realize how making guesses based on limited information may not be a problem now. But later down the line when your guesses have been codified into being considered “the truth” problems will arise.